New Zealand’s Leading Commercial Refrigeration Rental Company. Impact Refrigeration is a specialist provider of commercial and corporate refrigeration. Our business model is simple - we take the hassle out of managing point of purchase refrigeration. We can look after sourcing equipment, logistics, maintenance and asset tracking. We understand how important the little things are - especially in the competitive retail environment. We are a 100% New Zealand owned company that has grown to become the country's leading provider of light commercial refrigeration rental solutions. Most commercial refrigeration requires regular maintenance. We recommend that commercial cabinets are serviced at least once a year. This ensures that equipment is running smoothly and potential problems are picked up before expensive repairs are required. We offer a comprehensive preventative maintenance program which takes the hassle out of regular servicing. We can deliver anywhere in New Zealand. 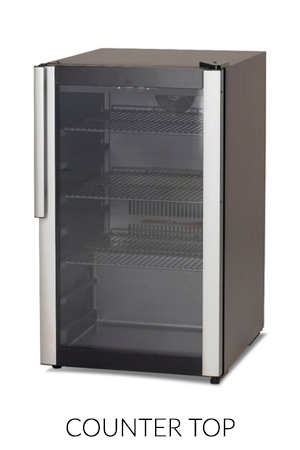 Our deliveries are carried out by experienced personnel who are trained to install refrigeration equipment. One of Impact Refrigeration's key business activities is the management of corporate refrigeration fleets. Refrigeration for most corporate businesses is non-core. We specialise in managing this activity so businesses can concentrate on what they do best. iTrack is a proprietary cloud based asset tracking system that offers our customers instant access to their equipment database. Showroom: 8 Stanway Place, Ellerslie, Auckland. © Copyright 2016 Impact Refrigeration. All rights reserved.